WASHINGTON — In court documents filed Friday, Special Counsel Robert Mueller for the first time cites President Donald Trump’s time in the White House as relevant in the investigation into Russia’s interference in the 2016 election. It’s the same time frame in which Trump’s former personal lawyer, Michael Cohen, says he prepared and circulated a statement to congressional investigators that was false. The revelations were two of four areas in which the special counsel says Cohen provided “useful” assistance in the Russia investigation over the course of seven meetings with investigators. The Mueller filing and a separate one also filed Friday by federal prosecutors in New York essentially place the president as a key figure in multiple federal investigations. “Mr. Cohen has repeatedly lied and as the prosecution has pointed out to the court, Mr. Cohen is no hero,” Sanders said. 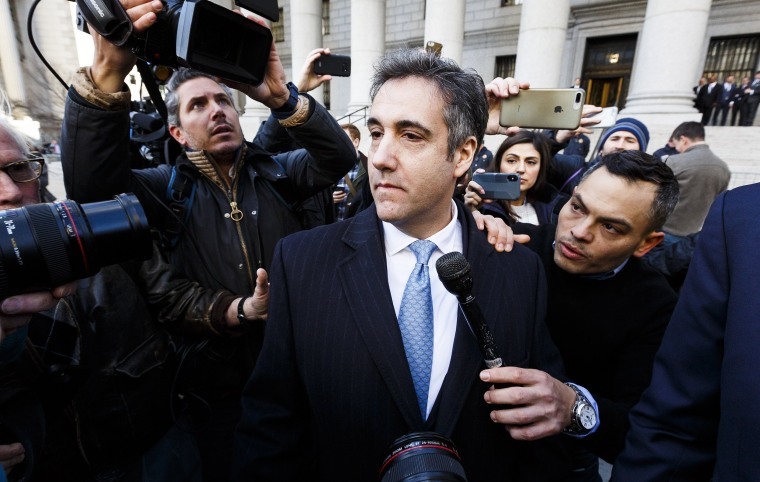 New York prosecutors state in their 40-page document that Cohen admits that during the campaign he violated campaign finance laws by arranging payments to silence women alleging affairs with Trump “in coordination with and at the direction of” the president. Separately, Cohen’s contacts with people connected to the White House while Trump was in office, as well as the “circumstances of preparing and circulating his response to the congressional inquiries” were two of the four key topics on which Mueller says he cooperated with the Russia investigation. Part of Mueller’s probe into Russia’s election interference, and whether any Trump associates colluded with Moscow on the effort, includes whether the president has tried to obstruct the investigation. Both the Mueller and New York documents were filed to recommend sentencing for Cohen. The New York prosecutors said Cohen’s cooperation has been minimal, meeting with them just one time, according to the special counsel’s document. “Cohen provided relevant and useful information” on communications that took place during the president’s first year in office, that document states. NBC News has reported that Mueller has examined aspects of Trump’s transition, as well as his time in the White House. Mueller also writes in Friday’s filing that in November 2015, Cohen, acting as Trump’s personal lawyer and a senior executive in his company, was in communication with a well-connected Russian national seeking political and business “synergy” with the Trump campaign. A previous court filing revealed that Trump and members of his family knew more about Cohen’s efforts to construct a Trump Tower in Moscow than was previously known, and that those discussions went on longer into 2016 than he had told Congress they had. Trump insisted throughout the campaign he had no business connections with Russia.